Pictures of NVIDIA’s Upcoming Kepler GK104 GPU have been leaked which show the Vapor Chamber Cooling Design along with a few shots of the PCB VRM area and rear panel display/exhaust panel. 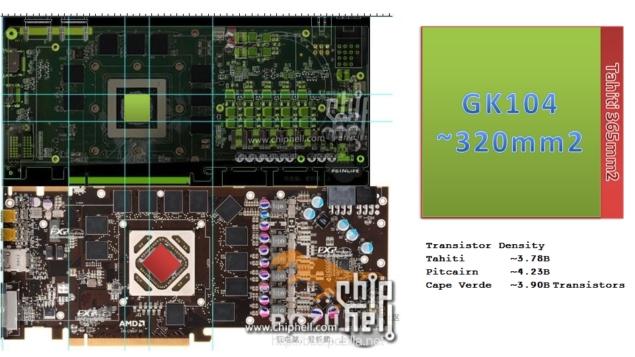 Kepler GK104 GTX670Ti was exposed yesterday along with the new GeForce Logo, Details here. 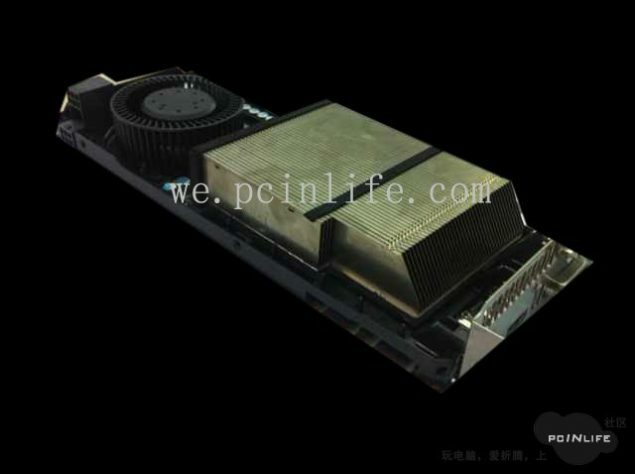 From the Pictures we can see that the GPU would feature a large blower fan which would transfer fresh air to the Vapor Chamber spotted right over the Memory and GK104 Core. The Vapor Chamber is covered with a large stack of aluminum fins to which heat is transferred from the copper surface and cooled down by the air. The PCB shots show that the board will have 5 NVVDD phases, and up to three miscellaneous power domains which would be powered through two 6 Pin Connectors stacked on top of each other. 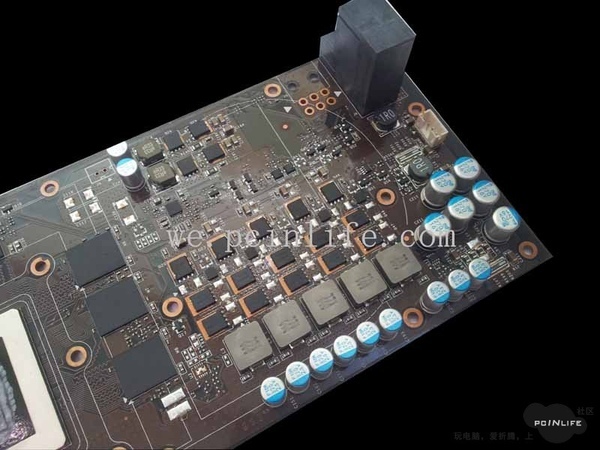 There’s additional room for an 8 Pin connector, Total TDP is suggested around 250-300W. You can also spot three memory chips, In actual there are a total of eight chips which would accumulate around 2GB GDDR5 (256-bit) memory, 4GB variants are also suggested from AIB partners in the future. An airflow bracket can be spotted at the front which acts as an exhaust, Display panel consist of a full length Display Port, HDMI and 2 DVI allowing for 3D Stereoscopic + 3D Vision through a single GPU. A total of three same cards can be SLI’d together.